Sometimes we need to know what is the difference between being smart and being clever. Being smart is learning from your own experience. Being clever is learning from others’ experience. Finding a qualified LTC instructor presents a moderate challenge. There are hundreds, maybe thousands of qualified instructors. Some are better than others. The real challenge is finding an instructor with years, maybe decades of both instructional and practical experience. A person with years of practical experience will not necessarily make a good instructor. 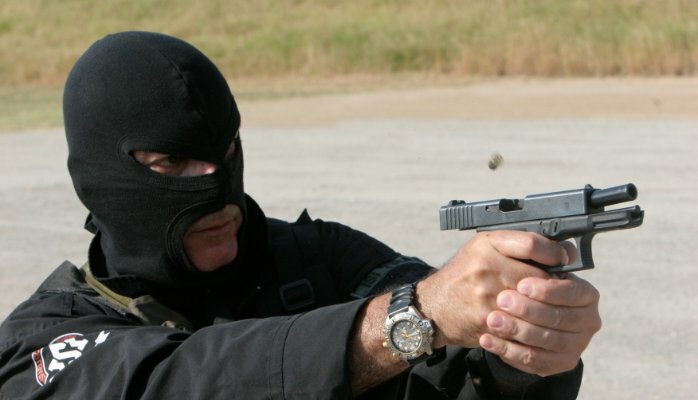 Great instructors require the ultimate practical knowledge of the learned topics, field tested, being patient, professional, have knowledge of all the particulars, able to strip all the non-essentials, skilled to improvise and adjust on the spot, maintain firearms safety consciousness at all times, respectful and able to understand the dynamics of the mind of a student as an individual and the dynamics of a class as a whole. Keeping the students’ attention on high level all the time is a learned skill but also requires the personality that will captivate the attention of the students and will motivate them to listen, complete the class and pass the written and proficiency test successfully. If a student wants to learn and demonstrates a positive attitude towards the learned topics, then there is no reason for him or her to fail. US Navy Seals, Delta Force, USMC Recon, USAF Special Operations, US ARMY Special Operations, Israeli Ya’maam, Israeli GSS, Israeli Commando Units, with skill abilities that include but not limited to: Covert Operations, Hostage Rescue, Close Quarter Battle, Sniper, Dignitary Protection, Surveillance and Counter-Surveillance, Improvised Explosive Device Disposal & Detection, Expert Marksmanship with Small Arms, Combat Medic, Intelligence Gathering, Mobile Force Protection, Motorcade Protection, NRA LE instructor, TX DPS LTC instructor, Bilingual or Multi-Lingual. Minimum six years of proven operational experience in High Risk Zone (HRZ), Special Operations and instructional experience. Must have military/police/gov skills based on serving in one of the following examples:USMC Recon, USAF Special Operations, with skill abilities that include but not limited to: Covert Operations, Hostage Rescue, Close Quarter Battle, Sniper, Dignitary Protection, Surveillance Counter-Surveillance, Improvised Explosive Device Demolition & Detection, Expert Marksmanship with Small Arms, Combat Medic, Mobile Force Protection, Motorcade Protection, NRA LE instructor, TX DPS LTC instructor, Bilingual. US Army, USAF, US Navy, with skill abilities that include but not limited to: Covert Operations, Close Quarter Battle, Sniper, Dignitary Protection, Surveillance and Counter-Surveillance, Expert Marksmanship with Small Arms, Combat Medic, Mobile Force Protection, Motorcade Protection NRA firearms instructor, TX DPS LTC instructor. Disclaimer: The above Tier levels represent only ISI Training Center’s instructor/operator criteria.